It can be smoky, strident or sinuous. It dances up and down the octaves, treating the gaps with a graceful disdain. It has a powerful, potent purity and is delivered with effortless elegance. 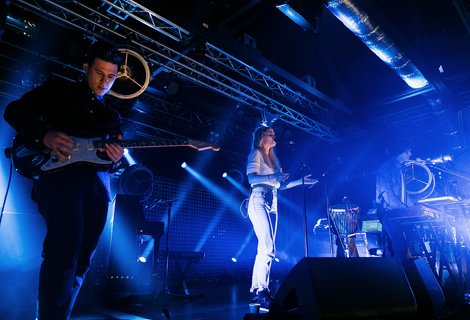 London Grammar are much more than one essential element, but it is difficult not to be utterly held captive by Hannah Reid’s voice for the entire night. Bathed in blue lights, the band ease their way into the evening on the wings of Reid’s breathy serenity, as stark Zero 7 keys and muted hints of guitar usher in album opener Hey Now. 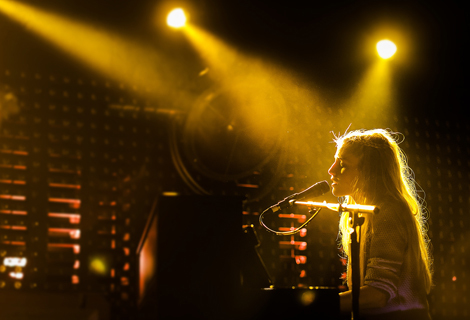 The quiet reverence that sweeps through the audience is palpable as row by row, cluster by cluster, the crowd sinks in to London Grammar’s sound and breaks out only for a congregational burst of applause and approval after each song. Wasting My Young Years shows there is a maturity allied to the group’s musical minimalism that belies their age and a similar effect comes on Strong, which throbs with the weight and beat of Massive Attack’s Teardrop and summons up shivers in the same way. 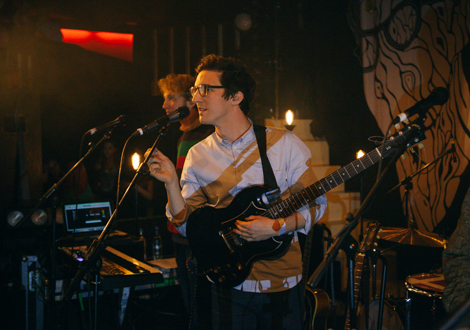 Just when it seems the platform Dan Rothman (guitar) and Dominic Major (percussion/keyboard) lay for Reid’s vocal acrobatics is in danger of falling into a predictable pattern, the band change gear and surprise. Darling Are You Gonna Leave Me sees Major take to the djembe to provide a lilting groove for Reid to soar high above, while closer Metal & Dust offers a euphoric end as it builds to its breakbeat climax. Their cover of Kavinsky’s Nightcall gets a rousing reception but – somewhat reassuringly – is by no means a highlight of the set. The strength of their own material and the intriguing promise of where they might take things next proves this trio are no slaves to the strictures of someone else’s song. The spacious soundscapes they create and the beauty that Reid’s voice fills them with suggest people will be studying London Grammar for many years to come. 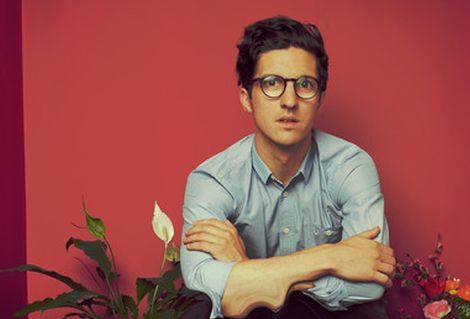 Even if you’ve never heard of Dan Croll, the chances are you will have heard him. His first singles have found their way onto the soundtracks of FIFA 14 and Grand Theft Auto V as well as the slick Toshiba Encore tablet advert. 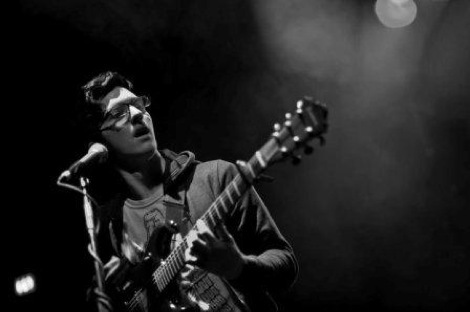 On the bill before London Grammar it is easy to see why his brand of clean, modern, sophisticated pop – which blends a bit of Tom Vek, a dash of Metronomy and a sprinkle of Paul Simon – has already been given huge commercial prominence before his debut record comes out next month. As his band gather around their mics to finish with the bustling hoedown and bright harmonies of recent release Home, it is clear that Liverpool will be giving this LIPA graduate adopted Scouser status and defiantly claiming Croll before too long. 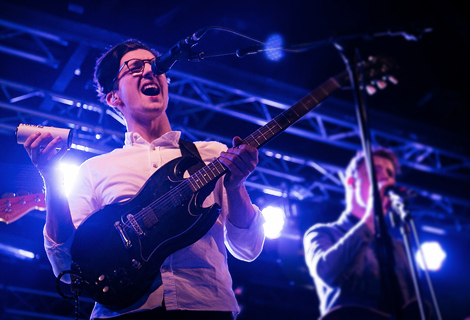 Dan Croll – GIT Award 2013 nominee profile.